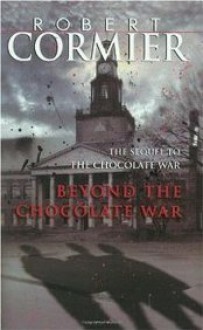 The school year is almost at an end, and the chocolate sale is past history. But no one at Trinity School can forget The Chocolate War.Devious Archie Costello, commander of the secret school organizationcalled the Virgils, stall has some torturous assignments to hand out before he graduates. In spite of this pleasure, Archie is troubled by his right-hand man, Obie, who has started to move away from the Virgils. Luckily Archie knows his stooges will fix that. But won't Archie be shocked when he discovers the surprise Obie has waiting for him?And there are surprises waiting for others. The time for revenge has come to those boys who secretly suffered the trials of Trinity. The fuse is set for the final explosion. Who will survive? I actually think this is just as good as the first. Maybe even better.